November 19, 2018 – Jussy wants to be known for her commitment to her studies! This semester she hopes to study hard and get good grades! Jussy grew up in a community filled with love and solidarity, but like any neighborhood, there were some issues. She experienced times of conflict within her community, such as theft, land disputes, and family issues. She also saw strong models of conflict resolution. From this, she learned that patience and conversation could solve most problems. 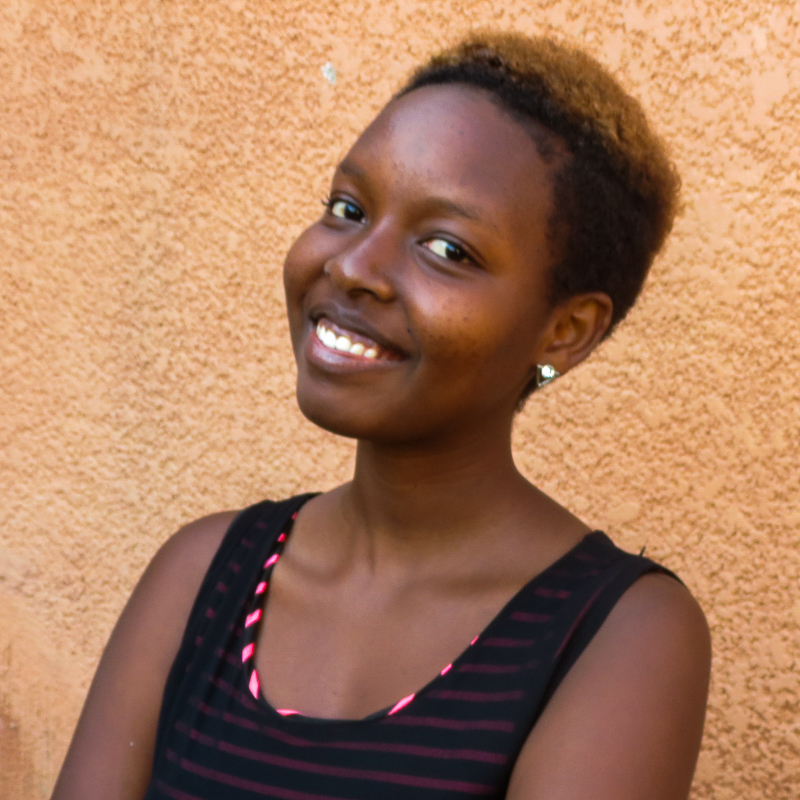 Jussy is excited to study Finance at the University of Rwanda. She knows that not only will she gain knowledge she can use to teach others about good money management, she will also have increased her own financial means. She dreams of a day when she will be able to fund a better school for her community. In her spare time, Jussy loves to sing in her local church and volunteer with the Red Cross club!